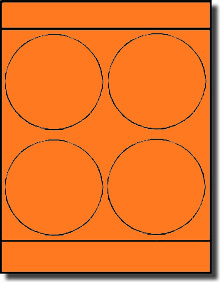 100 Sheets, 400 Large Round Laser Printable Neon Fluorescent Orange Labels. Sheet is 8-1/2 x 11. 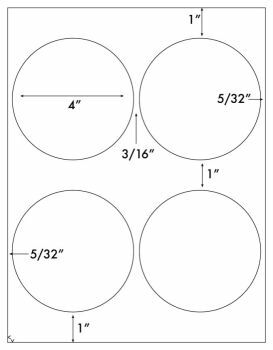 This 4" diameter Round Label has many uses. Small Signs are one usage. The shape will make a sign look great. These labels are also used to print Targets that can be applied to the Cardboard Target Mount, or used as Target Pasters to cover Holes in Targets.